Personal power, if you have given yours all away, then it is your responsibility to work at earning it back. No one else in this world should have permission to have authority over you, and if they do, then something is out of balance. If our personal power is not in harmony with the energy that it deserves then there will not only be physical symptoms you will suffer from but there will be many emotional and mental negative manifestations that will keep you from feeling well. Bullies are everywhere and anywhere. They can be members of our family, co-workers, our friends and acquaintances, whomever they are if their presents in your life is etching away and demoralizing your sensitive nature then do something about the situation, it is ultimately up to you to make the necessary changes that are required. It is your health that is at stake, not theirs, bullies do what they do, with no remorse. Take steps to alter the circumstances, it is within your power to make change where change is due and imperative. Keep your distance from the bully, no words, explanations, emotional responses or pleading will change the course of action that the bully has on their agenda. The moment you engage with this person, is the very moment you enter into the drama, a bullies Ego feeds on drama, inevitably if you interact with the bully you begin to disempower yourself to feed them, this situation never ends well, not for you! Sensitive people internalize everything, we are like mops for other peoples dirty work. This is because we have an acute empathic nature, we feel other peoples pain, even when they don’t, our immediate reaction is to want to ‘help them’. We don’t think to protect ourself, or be on guard, all we feel is the suffering of other people and we feel compelled to come to their rescue. 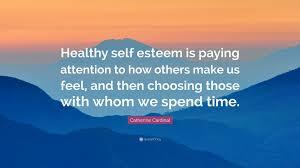 Your personal power is of great value to you, it governs your self-worth, your self-esteem and your self-respect. Work on building these three parts of yourself, they are so very important. No one has the right to have authority or a negative influence over you, and if someone does, then perhaps that Soul Contract has expired.